MedicalCommunications is part of the Heidelberg Engineering group. MedicalCommunications is one of the world’s leading companies in the field of medical image and information management systems. MedicalCommunications has outstanding expertise in image management, archiving, diagnosis, viewing and fast web-based image distribution for practices and hospitals. With its product portfolio Ashvins, MedicalCommunications offers comprehensive solutions in all areas to work efficiently. The portfolio is complemented by upstream and downstream services, supplementary consulting services as well as care and maintenance of systems. The core technologies support the diagnostic workflow, accelerate medical communication and transfer of data and reduce costs. A close contact with key opinion leaders and MedicalCommunications’ comprehensive technological expertise provide the foundation for innovative product developments. 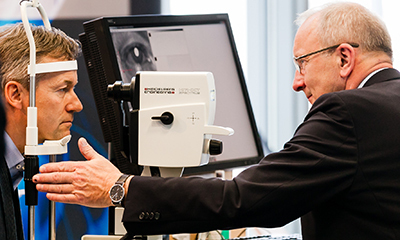 As a subsidiary of Heidelberg Engineering GmbH, MedicalCommunications also develops software components for ophthalmic diagnostic devices with more than 20,000 users worldwide. As specialized medical engineering provider we develop, manufacture and distribute medical devices and related IT solutions in a steadily growing, future proofed and socially relevant market. Our goal is to provide ophthalmologists with reliable diagnostic tools to offer the best quality of care for the benefit of patients. Therefore we are looking for candidates who want to work together on this goal and in an exciting and innovative environment to improve diagnostic imaging in ophthalmology in a long term. Within more than 20 years we have developed to be a successful, medium-sized company that is well established in the ophthalmology market. We manage our national and international business from the headquarters in Heidelberg. 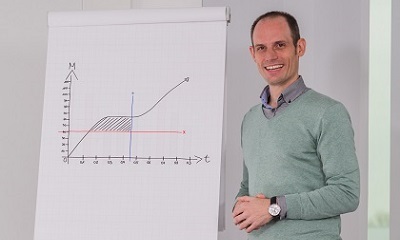 Therefore we are looking for candidates who appreciate flat hierarchies and rapid decisionmaking routes in an owner-operated company and would like to introduce their creativity and competence in an outstanding and dynamic working atmosphere. As a global leader in technology in the market of diagnostic imaging in ophthalmology we follow a high innovation claim and attach particular importance to the quality of our products and service offers. We get supported by our close cooperation with worldwide leading research companies that use our products to develop and change ophthalmologic diagnosis in a sustainable manner. Therefore we are looking for candidates who want to bring in their professional and social competencies in a medically and technologically interesting environment and contribute with their creative ideas and solution to the development of clinically relevant products. 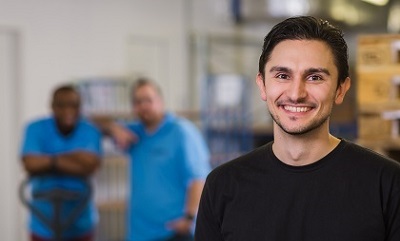 As a growing medium-sized company with global operations we are striving for an open corporate culture attach particular importance to a globally transparent working environment. In addition we struggle to develop each employee according to his/her individual competencies and support him/ her in an independent and responsible working manner. Therefore we are looking for candidates who are comfortable in an international working environment and see themselves as part of a team, that follows a vision together.